Are you confused which type of hosting you should choose? I can assume, how tough is that. Because I faced the same when I was planning to purchase web hosting for my blog. And I am sure you are also planning to purchase web hosting for your blog/website. The decision of selecting a web hosting totally depends on requirements and the budget you have. When I was started, I chose Shared hosting because this can solve my needs. That time, I did not have much traffic on my website (because I just started). And also I didn’t need high resources. But now after 5-6 months of blogging, Shared hosting failed to fulfil my requirements. Choosing the web hosting for your blog/website is really an important decision, because if you choose any wrong type of hosting for your website and It will not capable to fulfil your requirements then it can hurt your website and the user’s experience as well. If you are a beginner and want to start your own blog/website on WordPress or any other platform then you should know about the various types of hosting in the market. 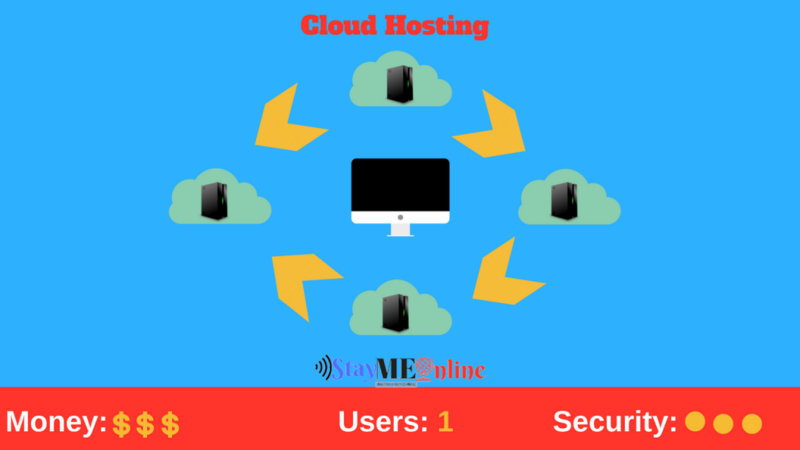 When I was choosing hosting for my blog one year back, I was not aware of the difference between the shared and the managed hosting, Shared and the cloud hosting. That time I wanted to choose the cheaper one because I didn’t have much money to spend on the hosting. Price: Money is the major thing to take care of when someone purchasing a web hosting. Usually, beginners have a tight budget. So they always try to purchase the cheapest hosting. Performance: Performance is another an important factor. Everyone wants to give a quick loading speed to their users and for this, you should have a good server. In the starting days, you can start with the cheapest one but along with the time you have to upgrade the hosting. These are the two most important factors which everyone looks for, before selecting a web hosting for their self. Some of the links on this post are the affiliate links, none of them will add any extra charges or amount in the total price rather it will give me a commission and help me to manage this blog. So today with this post, I am going to clear all your doubts about the various types of hosting. It will make easy for you to choose the best hosting for your blog or website. Shared Hosting is the cheapest hosting type, It is the best option for the beginners to start their new site. They are in the low budget at the time of starting. So they can not afford the others hosting plans which costs too high but gives an excellent performance. Shared hosting is a type of hosting provided by the hosting companies for the customers who have a low budget and can’t afford the high plans. 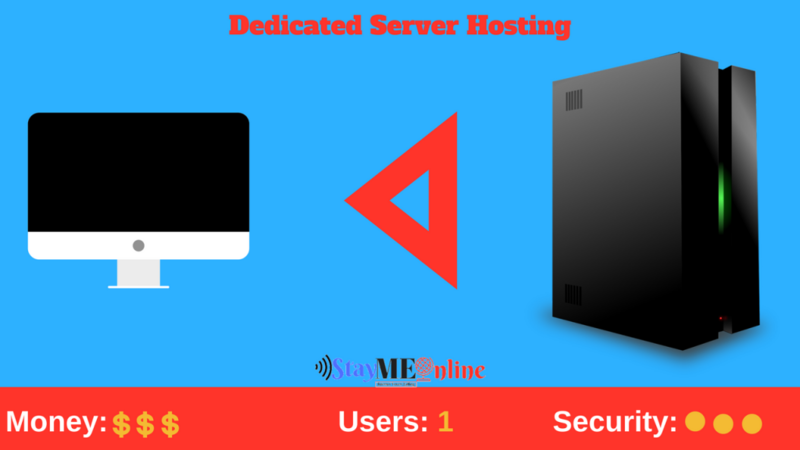 Hosting companies allow multiple sites to host on the one server, they set resources for every site which hosted on their servers. Every user has a limit of the server resources they can use, even they don’t know which sites are hosted on the same server and they are sharing resources with. Shared hosting is the best option especially for the beginners who just starting their site and having zero traffic, they can use shared hosting for some time period. Whenever they got high traffic on the site and need more resources so they can easily upgrade. It is cheapest hosting which you can get on the market, You can get shared hosting in the price range of $2.99-$9.99. Bluehost is one of the top hosting providers for WordPress, you can get shared hosting with them only in 3.95$. Click here if you are interested in Bluehost Share hosting. No technical maintenance needs to be done on your end to the server, as this is usually included in part of your hosting package. You can easily manage even if you don’t have technical knowledge. Page Loading type can be slow if your traffic is increasing day by day. You will never come to know which are the website you are sharing the server with. don’t have rights to do the high level of customization. You will get the basic level of security. As I already mentioned that choosing a hosting is totally depends on your requirement or the stage you are on. If you just going to start your first blog or website then this is the best option for you to make your site live for some time. And whenever you think that now I need to upgrade then you can easily upgrade. Here are the best and cheap shared hosting providers which you should check out if you are planning to purchase shared hosting. Bluehost: Start from 3.95$/month, we also have a deal regarding the same in the deals section, you can check that out here. NameCheap: This is the cheapest shared hosting provider I have ever seen, they are providing shared hosting in only 9.88$/yr. You can check the deal for the same in our deal section. If you can spend few dollars more than shared hosting price then you should choose Managed hosting. This is created to take care of WordPress users especially. Managed WordPress hosting is completely focused on WordPress site requirements. Managed hosting is aimed to give a good performance and support to the WordPress users. Their support team is fully trained with the WordPress a to z customization to help their customers with their site. In the Managed WordPress hosting, You don’t need to worry about anything, your host will take care of all updates and other important tasks like WordPress updates, plugins updates, backups and many other small activities. It will save a lot of your time and you can invest that time in creating contents, researching and SEO. The best option for you if you are using WordPress. Automatic updates as soon as they made available. They will take care of backups, need to know more about the backups click here. Secure than using shared hosting. Support will be great compare than other cheap hosting types because the support team will understand your WordPress site need. High price than Shared Hosting, when a person starts a blog and want to purchase hosting they usually have a low budget so shared hosting is the first choice of them. Less Control than other types of hosting, you have less control because many things are in taken care by the hosting provider. Bluehost: I don’t have the words to explain how good is Bluehost for WordPress. They have managed WordPress hosting plans starting from $19.99/month. You can check them out by clicking here. Wp-Engine: Wp-engine is the one of best WordPress hosting providers, you can purchase managed WordPress hosting plans starting from $35/month. You can check plans by clicking here. Maybe, you are using Shared hosting currently and want to upgrade because maybe now you have more traffic than before so you need to upgrade the hosting. VPS hosting is the best option for you if you are also planning to upgrade hosting, VPS hosting is one level up hosting than shared hosting. In this type of hosting, you still have to share your server with others like you were sharing in shared hosting. But the difference is you will share your server with rarely 20 others users. whereas, you were sharing you sever with 100 or 1000 users. Fewer neighbours mean high performance and fast page loading speed, it will be a beneficial type of hosting if you want to upgrade from shared hosting. If the server has 10 users then the RAM, CPU usages and the HDD space will be distributed equally to all the users. Less expensive than a dedicated server. Don’t need to share resources, you will get your allotment of resources and no matter what your neighbours are doing. Good performance than Shared hosting. You will get the high level of security, including advanced encryption protocols. You have much control on the server which was very low in shared hosting. A great support system, the support team will there to help you if anything goes wrong. They will provide 24×7 support. High price than shared and managed hosting, for a beginner it is very difficult to purchase. Less control than a dedicated server, you will learn about dedicated server below. In a dedicated server, you are the only one on the server so have full control. But on VPS hosting there will some users to share the rights with. So the control is distributed to all of them. Limited resources than a Dedicated server because It is distributed to all the users on the same server. Bluehost: Plans starting from $19.99/month, click here to purchase it. This is the place where you are the only king and gets all freedom with any type of limitation. In the Dedicated Hosting, You are the only one on the entire server, you don’t need to share resources with other like shared hosting and also don’t need to limit in the virtual partition like VPS hosting. It is very expensive but excellent for the performance and speed point of view. You maybe knew already after reading all the types of hosting above. Here you are only one on a single server so the performance will be excellent. You have full control over the server because you are only one on the entire server. The performance will the excellent compare than other hosting types. Excellent support from the hosting company. Very Expensive compare than other hosting types, beginners cannot afford this on the starting stage. It will cost around $70 or more per month. Bluehost: Starting from $79.99/month, you can purchase it from here. Namecheap: If you are looking to purchase dedicated server hosting in cheap price then you must purchase purchase it from here. Cloud Hosting is a new type of hosting and became very popular from the last couple of years. In Cloud Hosting, your website is hosted on cloud architecture rather than a physical server. The main benefit of Cloud Hosting is its scalability. Cloud-based computing is similar in the sense that you gain access to a group of servers, and can use those resources based on your needs with no interruption to service. With cloud hosting, you are not going to find the difficulties like our of resources and other which you always get in shared hosting. Maybe, It happened many times with you when your site gets high traffic, if you using shared hosting or VPS hosting then it will definitely slow down your website. In these situations, if you are using cloud hosting, additional resources will be automatically added when the traffic kicks in, so you won’t have to worry about it. You can get purchase Cloud hosting from the Cloudways only at $10 per month, click here to purchase it. I have shared every single detail about different types of hosting which you should know about the different types of web hosting. And I am sure you are ready to choose best for yourself. Choosing a hosting is totally depends on your needs, the budget you have and the traffic your website has. Now it’s over to you to choose the best one for your website, and don’t forget to tell which one you like most of the comments. If you have any query regarding this post then feel free to drop in the comments or you can also create a topic in our forum. There are many bloggers which will help you with your query. You can visit the forum by clicking here. And show some love by sharing this post with the others to help them in choosing a web hosting for their own blog. Shared Hosting is the most popular type of hosting service. Right, But if you are taking blogging as the career then you should upgrade from Shared after a time. Only when the traffic grows, and server is unable to handle it. But, if you have not so much traffic then upgrading is just a wastage of money. It totally depends on the length of the post, I usually attach 4-6 images in a post but in tutorials post number always high. Don’t ever add too many images in a single post because it can give a bad experience to your users, Use where needed. hey… you have a good website and articles.